Value engineering expertise by Principle delivers first dedicated store for Finlay & Co.
Value engineering expertise delivers first dedicated store for Finlay & Co. 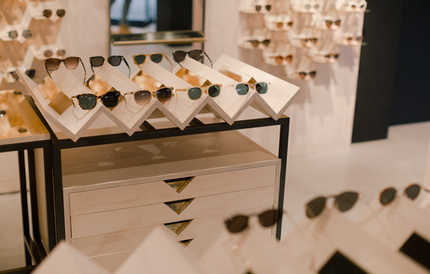 Principle worked alongside contractor Stoneforce and architect Olivia Gordon to deliver a concept retail store that reflects the high-end quality of the products provided by independent opticians Finlay & Co. The brief came to the Principle team via Stoneforce in the form of an architect’s drawing, which was followed by a meeting with all parties, including the owners, where their requirements were discussed in detail. We then liaised with the client and architect directly to value engineer the project, reducing the cost by over 30% so the project could be delivered on budget, whilst still keeping the desired look and feel. The Principle team then manufactured all fixtures and fittings from real brass, pine and Douglas Fir, and completed the installation in the Carnaby Street, London location in 3 days. Copyright © 2019 Principle Global. All rights reserved.